But Japan has no chance of even placing on the podium for the team event, to be honest. The battle will be among the American, Canadian and Russian teams I suppose. And in 2010 Vancouver Olympics, she was on her dream stage and succeeded landing 3 3As in one competition, making a Guinness record. However, she made two mistakes and ended up with silver medal. But even if she had skated clean that time, she would still have scored less than Yuna, wouldn't she? Regarding 2010 worlds, Mr. Amano was another reason why her obviously clean performances were underscored with unjustifiable calls. About a year ago, I saw a clip of his performance at worlds where he attempted 3A and ended up in a three jump. It wasn't 1A nor 2A, but a huge three turn. There was a speculation back then that he's so jealous about Mao that he's very strict and scrutinized her 3As. I thought it's a good joke, but after watching the clip, I believed it. You mean Shin Amano? What did he do? 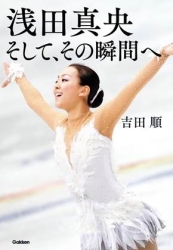 Funny that rabid Yuna bots often accuse a Japanese technical specialist of making wrong calls on her jumps and a Swiss specialist (whose name I don't remember) of receiving bribe from JSF to sabotage her scores. Come on. THIS. I loved Mao's Swan Lake, but I get a feeling, that TAT is recycling her old works on Mao. First with "The Bells" LP, then with Swan Lake and now Rachmaninov. I believe that Rachmaninov will be a masterpiece, but there are many other famous Russian composer to choose from, why this overused music? And if TAT is unable to think of anyone else, at least give her other parts of the concerto. Honestly, sometimes I think that TAT has a CD with top 100 music to skate to, on it, and it's the only CD that she's willing to use. Sorry if this sounds a bit mean, but it's just how I feel. I think TAt has run out of ideas for a long time. I find Swan Lake generic for Mao's level. I think Yuka Ota's Swan Lake is better, disregarding the jumps. To be honest, I prefer the choreography of Akiko, Kanako, Caro and Zijun last season. They demonstrate how a great choreographed program can transcend a performance and compliment the skaters. If Mao is planning a 8 triples program, then she is planning to do a lutz? ?, I wonder how is doing with lutz because she had not included that jump like in 2 seasons?? She did 3Lutz last season. It was actually rather good at times. Thank you, I am going to check it. I think it's 3lz, isn't it? Looking at the trajectory and edge, I thought it's 3lz. But I cannot trust my eyes, which still need more training. Could someone please check it? It may be difficult to judge from this angle though, how it could be rated if it's 3lz? Regarding 2010 worlds, Mr. Amano was another reason why her obviously clean performances were underscored with unjustifiable calls. About a year ago, I saw a clip of his performance at worlds where he attempted 3A and ended up in a three jump. It wasn't 1A nor 2A, but a huge three turn jump. There was a speculation back then that he's so jealous about Mao that he's very strict and scrutinized her 3As. I thought it's a good joke, but after watching the clip, I believed it. Yes, Shin Amamo. I meant by three jump (not three turn and I corrected above error) "waltz jump". I googled and found out "three jump" is a Japanese term. Sorry for confusion. Even elite male skaters struggle with 3A and fail at competitions from time to time. I don't mean to laugh at him for failed attempt. But, ending up in a waltz jump, not 1A nor 2A, must be so embarrassing for a male skater who's good enough to compete at worlds. As rumor says he doesn't like girls doing 3A. Hard to tell from that angle. Especially with how fast the jump was. It would be a little easier to see from the back or front. I WILL tawk like a black person if anyone tawks SHIZ about ma boo..
Mao is the fabulous Swan Queen and you're fat. Thanks for the information . Do you skate? I think there are so many things about jumps, transition and edge that I will probably never know if I don't take skating lessons. You really have to get out on the ice and see how they work. True, and the chance now is even slimmer, as it has been announced that Chris Reed has been suffering from quite serious injury at one knee and will probably have to skip NHK. Yeah, I think if it's a deep edge, we can make a convincing argument for Mao, but since it's not very obvious, she's always given an edge call due to her being known for flutz. Are they going to ship it? I wanna order that book even if I can't read it. I think you can pre-order it from now on. And the book will be published/shipped on Oct. 23. I hope amazon.co.jp will also carry this book. I'm not sure if they ship internationally from the current website. I had expected it to cover her childhood. I'm desperately curious to know how she was brought up to become such a love graceful strong lady. No I don't skate, although I'd often go to a small ice rink which was open only in winter when I was a child. I started to learn about figure skating techniques since I lurked/joined this forum, thanks to knowledgeable members. I liked watching competitions on TV but my attention was to costume, arm movements, shape of skater's body and if she looked like a princess or not. People say figure skating popularity in Japan will decline after Mao and Dai retire. I think I will keep watching and supporting because this sport is so deep both in technique and artistic aspect. Also I will look forward to seeing Mao, Dai and other skaters at K&C when they become a coach for next generation. mmm... I hope Mao will not care about edge call at all because if she does she will slow down, I suppose. I hope she will throw her body into the air without giving a f*** about judges. Thanks sikure for the information. The publisher is different for the book which was canceled. To be honest, the edge calls that Mao receive for her flutz are most of the times correct, in my opinion: her lutz has improved a lot during the last years, and it's clearly a lot better than the one she was doing with Tarasova (2009 for example), but she still slightly switches edge to a RBI a moment before jumping... But some of her lutzes during this past couple of seasons have been pretty good and close to a clean one: for example, at the 2012 4CC she didn't receive the edge call, and the -0.70 was just because of the hand down... Let's hope! The times that I wish I spoke Japanese! If any forum members manage to get the book, a rough translation would be greatly appreciated! The book is just published. And now amazon.co.jp carries the book! Also, according to Twitter, the publisher got a lot of online pre-order of this book, as result, they decided to add more printings! Oh, how much i wish they would bring this out in english! Have they ever published an album compilation of her skating music throughout her career? COHK, is the book available in Kinokuniya Japan? I'm not too familiar with ordering in Amazon JP. Thanks. But Amazon JP is not too difficult to use, and they ship internationally (with the shipping fee, of course!) I'm less familiar with Kinokyniya website. Sorry, I don't remember if the news about the 13-14 program music has been shared or not. with the project of an album compilation of all her programs, sometimes in the future.